“TELEXISTENCE” was first proposed in 1980 by Dr. Susumu Tachi, Professor Emeritus of the University of Tokyo and the chairman of TELEXISTENCE Inc. It is a technological vision, concept, and the system that expands the presence of human beings. Cockpit and Surrogate Robot connects via a standard Internet connection provided by a Wired LAN, WiFi or 5G/LTE network. Ultra low-latency and guaranteed data delivery optimized for Telexistence applications (< 125 ms). Hybrid (Human + Artificial) Intelligence based reaching, grasping to pick&place of everyday objects. Low cost, mass producible, yet better looking mechanical design with accuracy & robustness for continuous operations. Carry on luggage type sleek & compact feel cockpit package packed with HMD, Tracking, Gloves and Haptics. Easy to use Cockpit UI/UX optimized for long hours of tele- manipulation with reduced VR sickness. 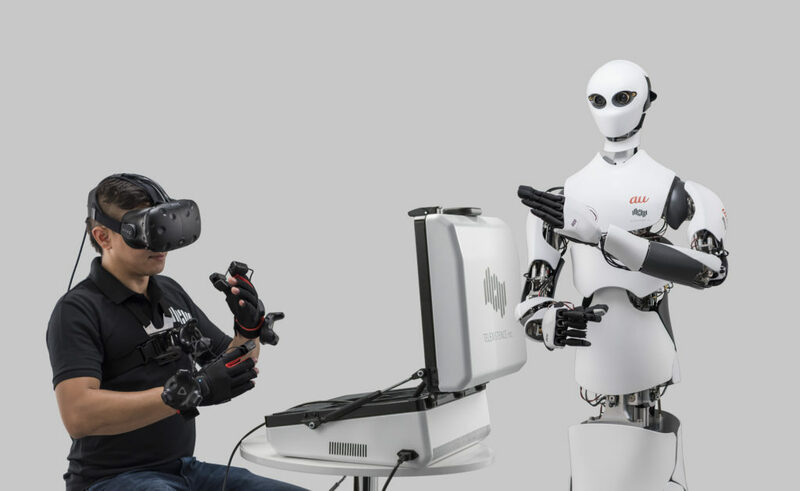 TELEXISTENCE Inc. has developed a mass production prototype for MODEL H, that uses remote control technologies utilizing the TELEXISTENCE® technology, VR, telecommunication, cloud and haptics. With commercialization in mind, MODEL H has improved ease of use and durability, shortened boot time and startup time, sophisticated design, proprietary cloud infrastructure and will be mobile and internet-ready. To learn more about TELEXISTENCE, you can visit the TELEXISTENCE Profile.